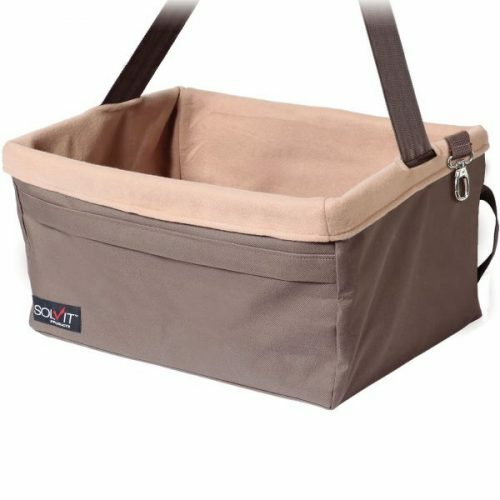 The Tago Single Seat Dog Basket/Cover is designed to accommodate small to medium size dogs (up to 15kgs) in the front or rear seat of a car. 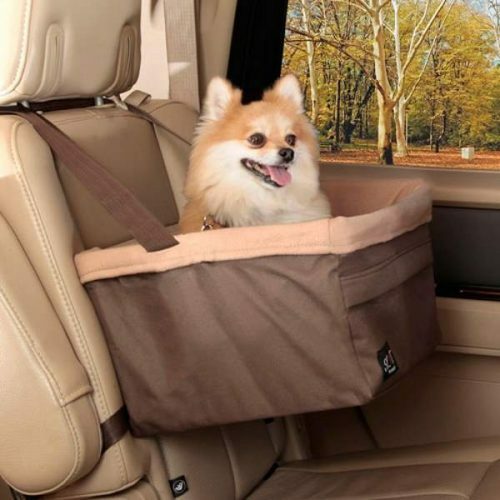 It secures the dog in its seat and keeps dirt and hair off the seats. Fits all cars. 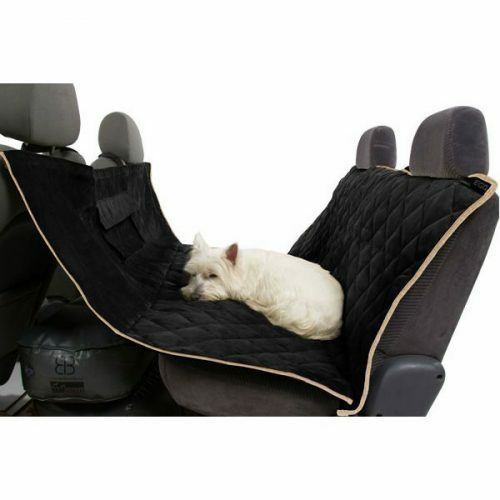 Keeps your car free of dog hair and dirt. 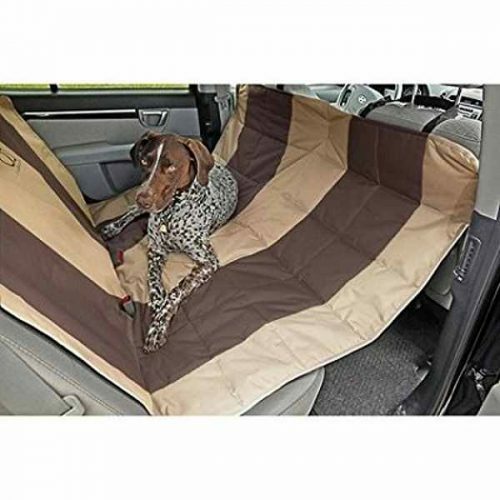 Prevents your dog from falling into the front footwell area – keeping it secure in its seat (a secure clasp attaches to the dogs collar or harness keeping it in place). 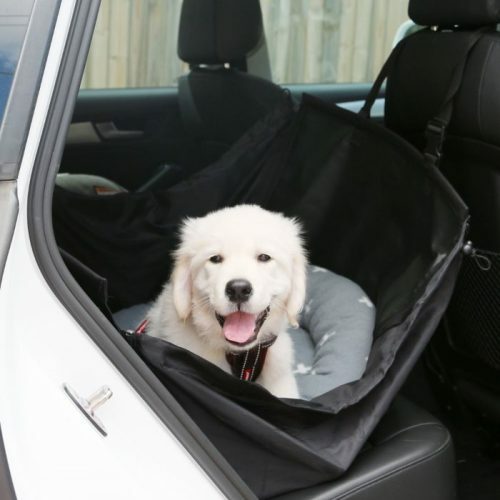 Fully enclosed zip-able side flaps allow increased protection to your cars side doors when zipped up and car seat when dogs are jumping in or out. 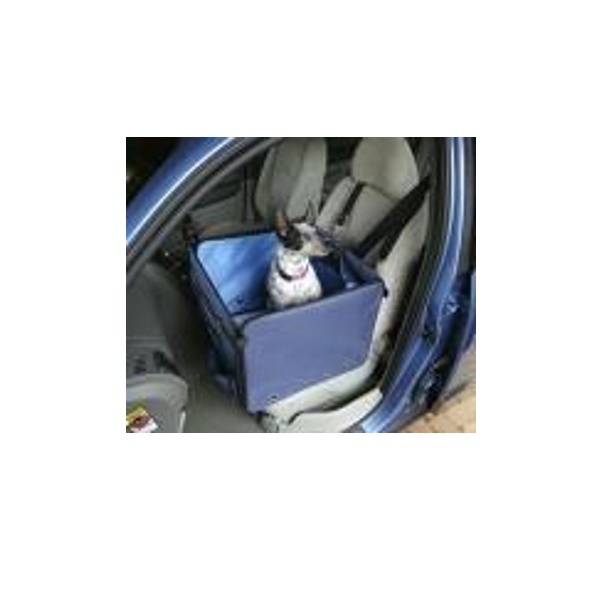 The Tago Single Seat Dog Basket/Cover is designed to accommodate small to medium size dogs (up to 15kgs) in the front or rear seat of a car. 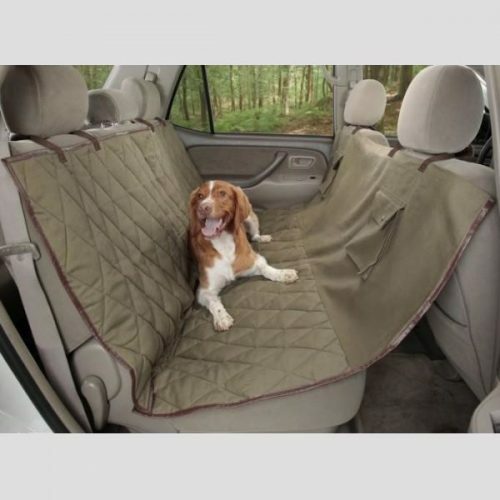 The zip up sides allow easy access when the car door is open. 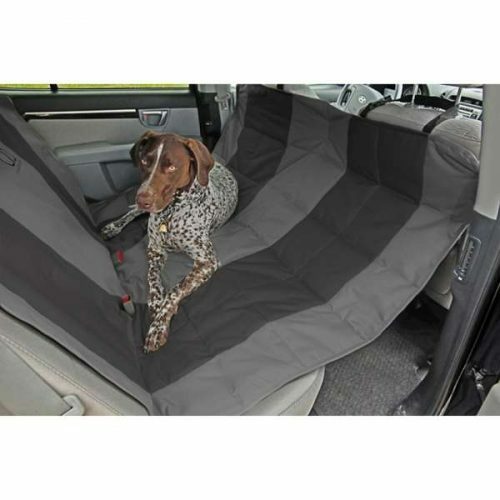 The Tago keeps your car seats clean and your dog safe. 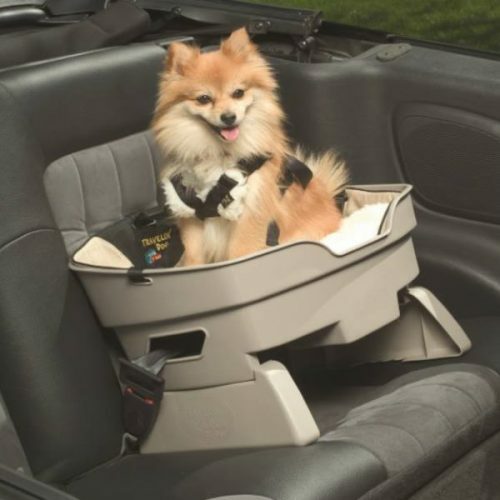 It secures the dog in its seat and keeps dirt and hair off the seats. Fits all cars. 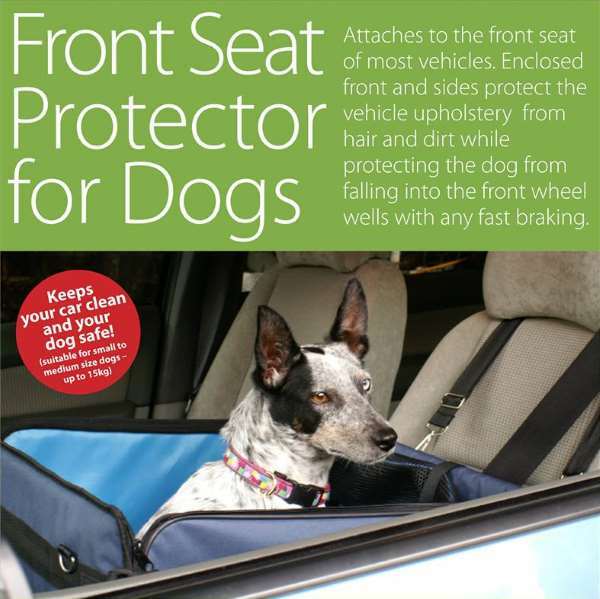 (Can be used in the front or back seat of your car). 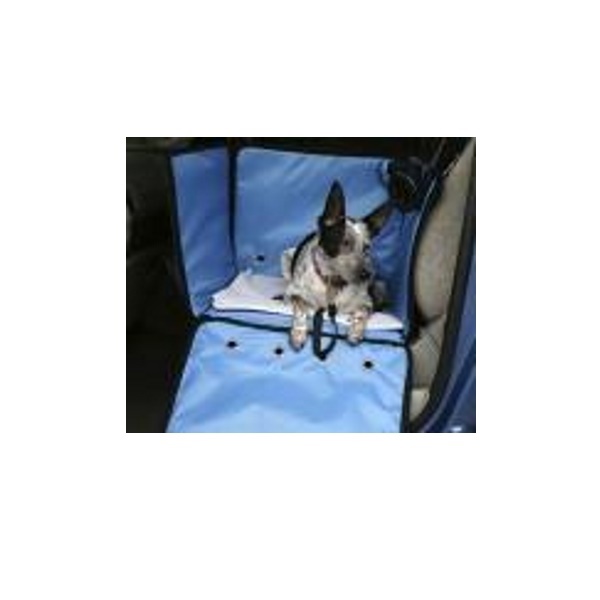 You can also put a small cushion at the bottom of the Seat Protector to give your dog a more elevated position – to act as a booster seat. 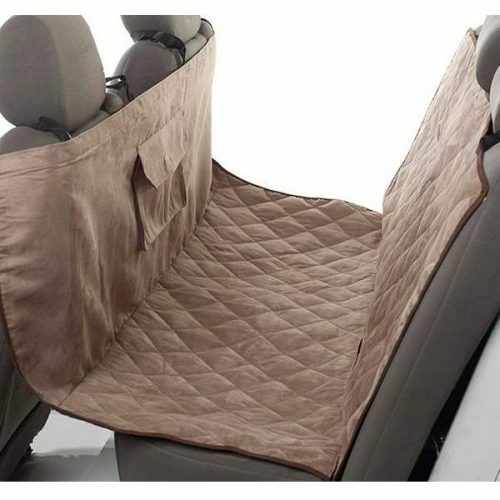 Why buy this Single Seat Protector? 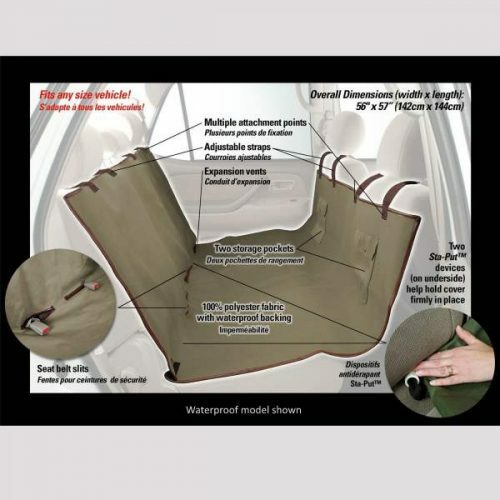 How it works: The single seat cover comes with a set of 4 straps and clips. 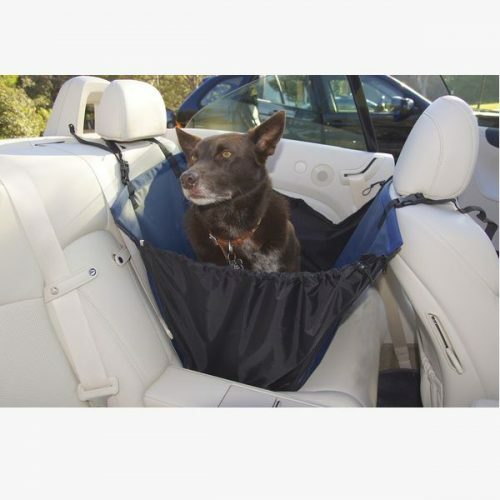 The straps fit around the back of the front seat and can be tightened to restrain the the Seat cover to the backrest. 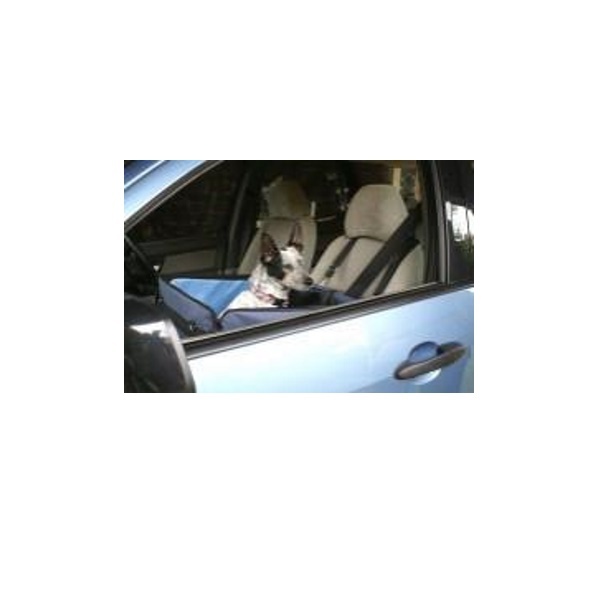 There is a short strap with clip that can clip onto your dogs collar to keep him/her in place. 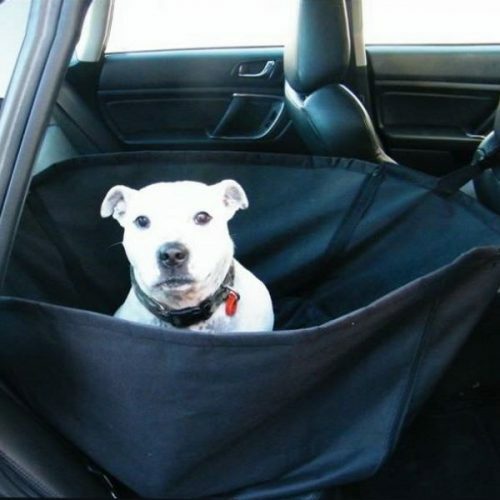 The Single Seat Protector can also be used for a single dog in the back seat of the car. 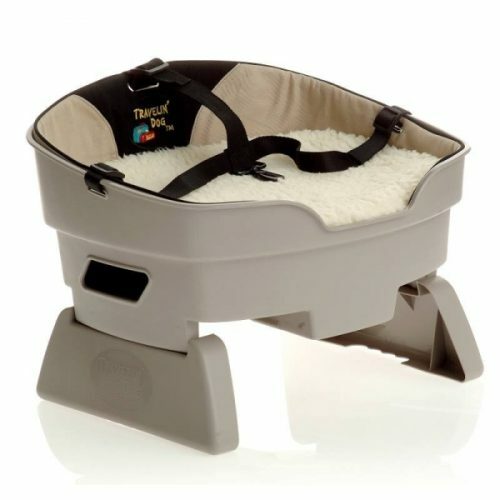 The carrier can be kept in place using the carrier strap over the headrest.